My painting “Colors dedicated to Nesimi” and its concept has been published in this catalogue as a result of competition and distributed in CIS member states. Thankful letter from Turkey. It was pleasure for me to took part in this exhibition which was organized by for International Women's Day. This is the poster of the exhibition held in Bartin (Turkey). I was one of the youngest participants in this exhibition. It was organized by SESAN (Free Artworkers). This is the list of cartoonists who won prizes in different International Cartoon Contests and includes my name as well. This catalogue was published in several languages and distributed all over the world. More than 1000 cartoonists applied for this contest which was dedicated to the 100th anniversary of "Molla Nasreddin". 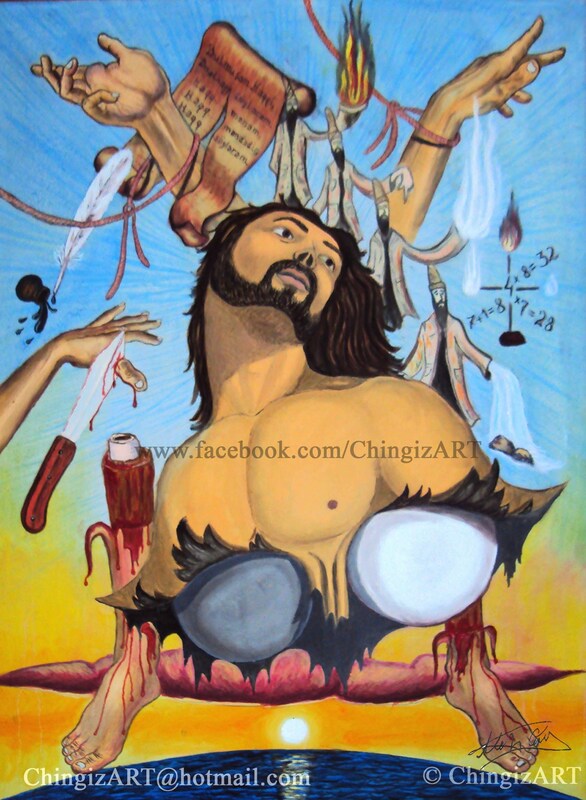 © ChingizART. All rights reserved.